Now you can offer our Online Driver's Education Program to your customers through your own web site! Brand our website with YOUR Driving School's name and logo! You Keep $29.00 per student! If you own an accredited driving school, you can become an affiliate with SafetyDriversEd.com. There's no contract to sign, we don't even need your credit card! Once your application is approved, we'll set you up with your own version of SafetyDriversEd.com (See an Example). Customers will see your logo on the top of the website and online course! You can use that as your new, FREE website OR point your existing website to it and start offering a quality online driver's education program to your customers. Best of all, you keep $29.00 per student! You can keep track of all your online customers with our unique "Affiliate Dashboard" and we'll send you a check every month for your paid enrollments! 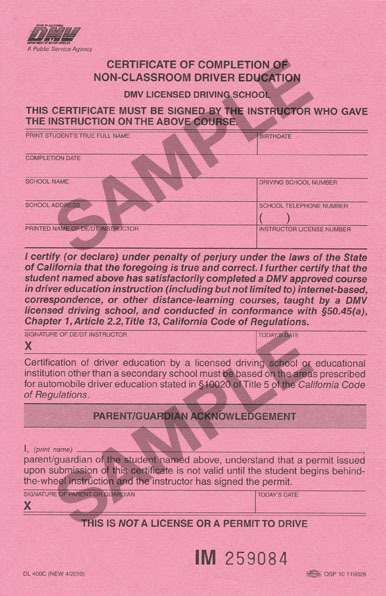 The SafetyDriversEd affiliate program was made by a driving school for driving schools. Why wait? Apply Now!